The way a DECT system works is with a high powered base station aerial installed in such a way to get the most coverage in its environment, from the base station a DECT cordless phone can communication 300m from the base station. 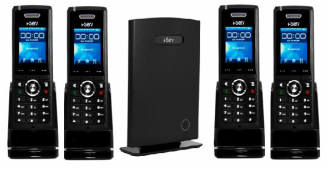 The dect iserv system can also offer repeater's which are areal that extend the communication of the DECT phone 600m from the base so in any environment the i-serv DECT phone system can be install with success. 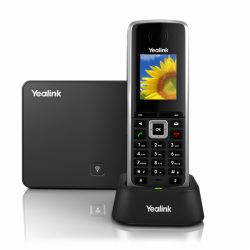 As the dect system is SIP based we can install this system on any VoIP telephone system with the ease of communication example intercom, placing a call on hold or transferring calls to any phone on the telephone system. Please note all base stations come with a POE injector for an easy installation. Why choose the SME VoIP Solution? Bases use G.711, G.722 or optionally G.729. For a free quotation please call 1300 739 556.